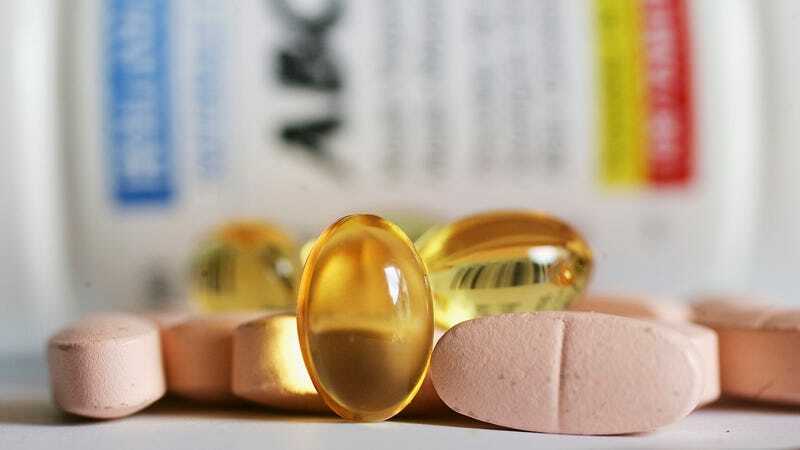 The Food and Drug Administration is not doing enough to ensure that supplements don’t contain unlabelled, potentially dangerous drugs, according new research published Friday in JAMA Network Open. More than half the time, the study found, the FDA doesn’t enforce recalls of supplements that knowingly include unapproved prescription drug ingredients. The FDA regularly screens supplement products to see if they contain unapproved pharmaceutical ingredients, which are typically added to create the product’s advertised effects. Tainted supplement products are then recorded in a public database set up by the FDA’s Center for Drug Evaluation and Research. Digging into this database, the researchers found that the FDA had singled out more than 700 supplement brands from 2006 to 2016. The overwhelming majority of these supplements were sold as sexual enhancement aids or weight loss treatments, with hidden ingredients such as sildenafil citrate (the active ingredient of the erectile dysfunction drug Viagra), the antidepressant dapoxetine, and the laxative phenolphthalein. But the agency only sometimes took any strong action after identifying these products. Forty-six percent of the products had a voluntary recall issued by the supplement company that had been requested and amplified by the FDA, while 44 percent of the time, just a public notification was released by the agency. From 2012 to 2016, the lack of recalls only became more common, with 72 percent of products getting an informal warning. And though the FDA has had the ability to issue its own mandatory recalls since 2011, thanks to a law that expanded its enforcement power, it never did so. Similarly, the FDA only once used its ability to seek a federal investigation and possible charges against a supplement company. “This is a remarkable finding. And it’s really inexplicable. How can it be that the FDA has done the analytical work, the chemistry, to determine these supplements have hidden drugs, and then not do the obvious next step of ensuring they’re removed from the market?” Pieter Cohen, an assistant professor at Harvard Medical School who has studied the dangers of supplements, told Gizmodo. Cohen, who contributed an accompanying editorial in JAMA Network Open discussing the team’s results, is quick to point out that even voluntary recalls can’t necessarily stop people from being exposed to tainted supplements. In his own and others’ research, supplement brands have been spotted still sitting on shelves after they’ve been recalled, while consumers have largely been unaware of the recall taking place at all. Other studies have also found traces of unapproved substances in brands purchased after a recall was lifted. But without a substantial overhaul in how the FDA can regulate these products, recalls remain the most direct tool available to protect the public from bad supplements. And the agency’s reliance on public warnings doesn’t seem up to the task. More than once, according to the current study, the FDA issued two or more public alerts for the same product, with the second alert warning against new drug ingredients, suggesting the first alert didn’t do anything to deter the company. Cohen’s worries aren’t just hypothetical either. Because of the lack of quality control behind these products, which are often made overseas, there’s no telling how much of an ingredient is in any single pill you take. In high enough doses, ingredients commonly found in tainted supplements, such as ephedrine and sildenafil, are known to cause heart and respiratory problems, along with seizures and even death. And a 2015 study once found that supplements overall send more than 20,000 people to the emergency room annually. “You might think, ‘Oh well, there’s a prescription drug in there, so we know it’s already safe. But you might be getting a lot more than you think,” Cohen said. Other times, supplements can have drugs that have been banned from the U.S. for being especially risky, such as the appetite suppressant sibutramine, found in more than 80 percent of tainted weight loss supplements. It’s not just legally available prescription drugs that are the problem. Last year, Cohen and his team informed the FDA of their research showing that experimental stimulants never approved in the U.S. are being added to supplements, too—research that others have confirmed. But to date, he’s seen no significant action taken by the agency to either regulate or warn the public about these drugs. Cohen said there are a few steps people can take to stay safe (aside from, you know, not taking supplements at all). Update: The FDA emailed this statement to Gizmodo after the article was published. The FDA is aware of the study and is in the process of reviewing and analyzing its findings. The FDA is committed to doing everything within its resources and authorities to identify and remove unsafe products from the market, and we continue to work collaboratively with all of our stakeholders to help ensure that products marketed as dietary supplements are safe, well-manufactured, and accurately labeled. Once the FDA identifies an adulterated or misbranded product, including products marketed as dietary supplements that contain potentially hazardous ingredients (e.g., undeclared active pharmaceutical ingredients (APIs) used in drugs), the agency’s primary objective is to mitigate any risk posed to public health by informing consumers about any dangers associated with the product and to work to remove it from the market as soon as possible. Even after recall and enforcement action against one distributor, a number of other distributors of a product may continue to sell it. In addition, we have found that distributors often re-label products to evade detection. Distribution of these products can be lucrative for unscrupulous companies, and the agency faces several challenges in deterring fraudulent marketing of these types of products. In addition, when products purporting to be dietary supplements contain undeclared APIs, they are generally excluded from definition of dietary supplement. Depending on their intended use, such products may be subject to regulation as drugs. FDA does not have mandatory recall authority for drugs. Despite these challenges, the FDA recognizes the seriousness of this problem and continues to act within its resources and authorities to address this problem as best it can.